Two 30-something Australians have decided to throw a mindfulness party for the world. It starts Oct. 1, lasts all month and costs nothing. They call it The Mindfulness Summit, and it promises video interviews, training and presentations from some of the top meditation and mindfulness teachers in the West, including Jon Kabat-Zinn, Jack Kornfield, Tara Brach and Prof. Mark Williams. So far, 37,000 people from all around the world have signed up (as of Sept. 9). More people are signing on at a rate of about 5,000 a day. "We're really excited about the idea that people from anywhere in the world can have access to world-class teachers and training," says Melli O'Brien, the co-founder and host of the nonprofit project. In Australia, she teaches mindfulness and yoga retreats as "Mrs. Mindfulness." "We've been working really hard for two months, probably close to three months. I may be running on pure passion. We're working weekends, nights ... Our lives are revolving around the summit ... The most hilarious thing is when you get stressed doing a mindfulness summit. So we're lucky we've got a good sense of humor." Her co-founder, Matt Dickinson, is also her partner in life. He's an angel investor and a startup adviser, having made a successful run as an tech entrepreneur himself. (He sold the online marketing company, iMega, to the Photon Group Ltd in 2006 for an "eight-figure exit," according to AngelList.) Dickinson has been involved as an online entrepreneur for 16 years, mixing business and philanthropy for most of that time. Like O'Brien, he's 36 years old. "We have both had our own lives radically transformed through mindfulness. 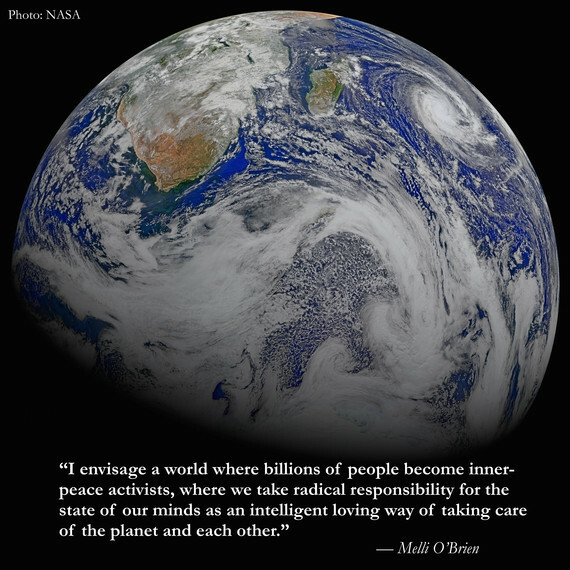 It has brought us into a deeper connection with life, ourselves and the planet. Our own 'awakening' has taught us so much about the origins of suffering and disharmony and brought us a richer more vivid quality of life. We all know these are challenging times on this planet. There is huge amount of suffering and earth itself is also in peril due to our inability to maintain balance with ourselves and the world around us. We have devoted ourselves to the mission of turbo-charging this mindfulness revolution because we believe it's the greatest act of contribution we can make to the world." The couple sees the summit's mix of philanthropy, tech, business and mindfulness as natural. They've always been involved in charity projects over the years, she says. The Mindfulness Summit is not only their latest, it's a hybrid. For the month of October all summit materials are accessible for free by anyone. For those who want more lasting access, the package will be sold for $95 -- with all the money going to the nonprofits: Breathworks, Oxford Mindfulness Centre and Mindfulness in Schools. The website for the program promises information and inspiration in a number of areas -- from learning the neuroscience of how mindfulness affects the brain to learning how to integrate mindfulness into everyday life, including work, parenting and coping with illness. Almost all the content is exclusive to the summit -- consisting of interviews O'Brien did with the group of speakers and teachers, as well as presentations and mindfulness practices. "We are also going to have two opportunities during the summit for the audience to submit questions to our teachers ... and we're also going to have live Twitterchats and Google hangouts." In addition, participants will be encouraged to put what they're learning into practice through a 31-day "mindfulness challenge." 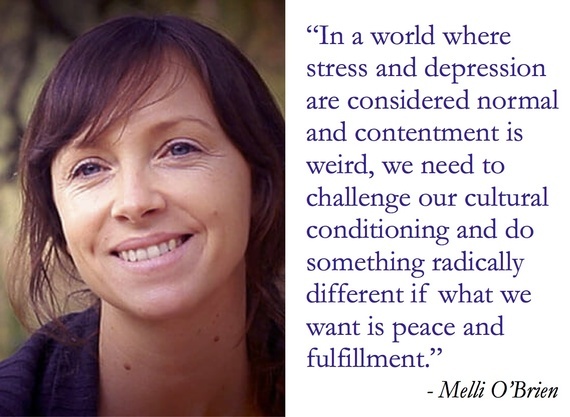 "The challenge will invite people to meditate every day and share their experiences and questions with us. And the community of teachers will be there to answer questions and support them." 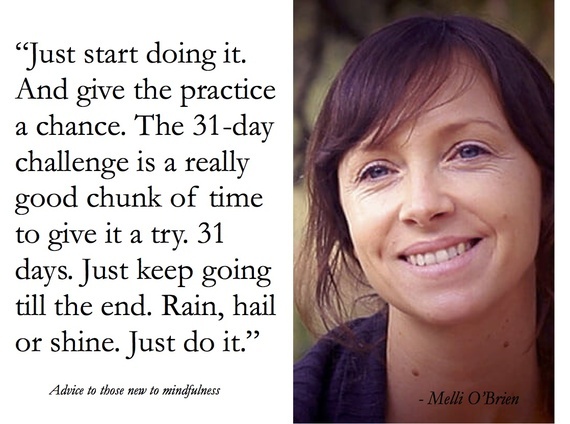 In her Australian retreats, O'Brien emphasizes mindfulness not as a technique but a way of living. With the summit, she wants to do the same -- by providing a social media platform for participants so they can "stay connected" after the summit ends and develop an ongoing "sense of community." She also told me the October event will be the beginning of a series of online events -- all designed to make high-quality mindfulness training and support "extremely accessible." Two highlights: "Joseph Goldstein is amazing," O'Brien says. "He talked about some of the challenges and setbacks that can happen on your journey to mindfulness. This elegant description of being on the path with more skill and wisdom. That is a beautiful one to make sure you catch." Also, watch for Ruby Wax. "What I love about her interview is that she is so incredibly open and authentic about her own experience of depression and mental illness. It was inspiring." 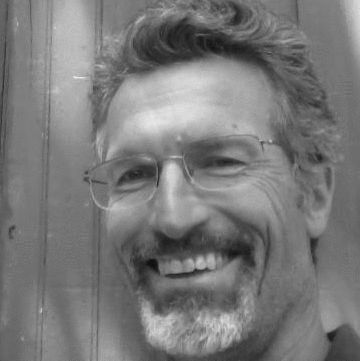 Live event: On Day 31, Jon Kabat-Zinn will join O'Brien for a live-stream she hopes will unite the new community as the project culminates. "Jon's going to lead a long sitting practice that we can all share in together." "Yes. Unexpectedly. My thinking was that I was providing this platform for others. But it has profoundly affected my own practice ... I feel more light-hearted in the journey every day. The self-compassion and the humor and the lightness and the ease .... this practice isn't about self-perfection or any kind of striving for anything more, it's about being in touch with life and being in touch with yourself."